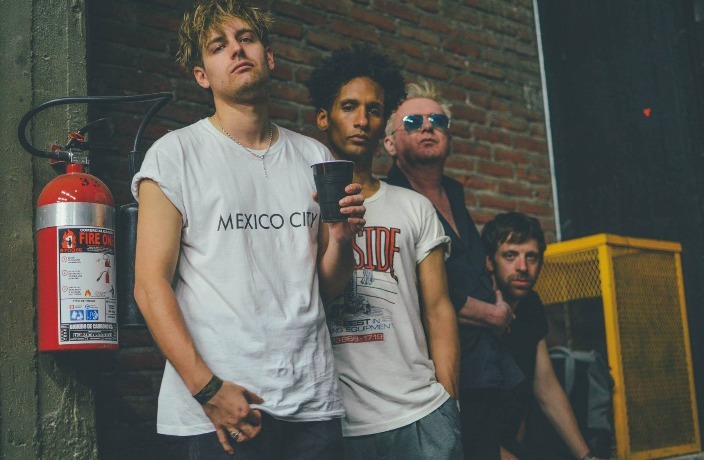 English post punk group Gang of Four have been forced to cancel their upcoming China tour. Last month, the band cut short their show in Williamsburg, Brooklyn when lead-singer Andy Gill was hospitalized with a chest infection. In a statement released on 247tickets earlier today, the platform confirmed that Gill has not recovered, leading the band to cancel their China and Japan dates, while postponing their Australia and New Zealand Tours. According to a report by US music website, Pitchfork, Gill was hospitalized on Monday, February 25 after developing a serious chest infection on tour in the week prior to their scheduled show in Brooklyn. Gill is the sole remaining founding member of the legendary punk band, best known for their 1979 release, Entertainment! At 63 years of age, guitarist Gill has carved out a career as both a member of Gang of Four and as a music producer for bands like Red Hot Chili Peppers and The Young Knives. We chat with Britt, one half of the duo, before the LA-based band embarks on their full-scale China tour. With headphones in, we often tune out the world around us, but Musicity's objective is to do the exact opposite. From raves under overpasses to London-esque clubs. Here's our guide to the best gigs in Beijing this week.